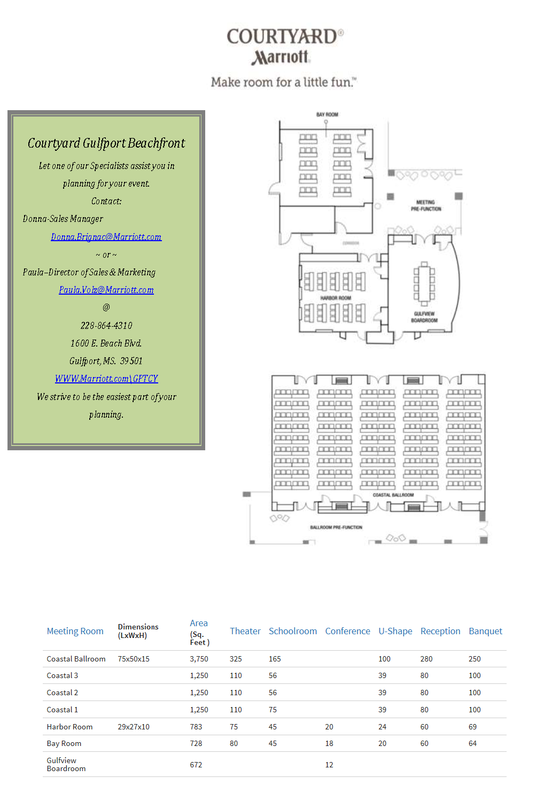 Courtyard Marriott - Coastal Ballroom accommodates up to 400 guests for banquets and conferences, and offers six meeting rooms with more than 6,000 sq ft of space. 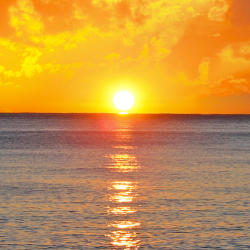 Description Join us at the newly built Courtyard by Marriott Gulfport Beachfront, where the sparkling blue waters of the Gulf of Mexico partner with Southern hospitality to create the perfect environment for magical moments. Explore our Coastal Ballroom, a high-end space that offers exceptional style and effortlessness when planning your next event. 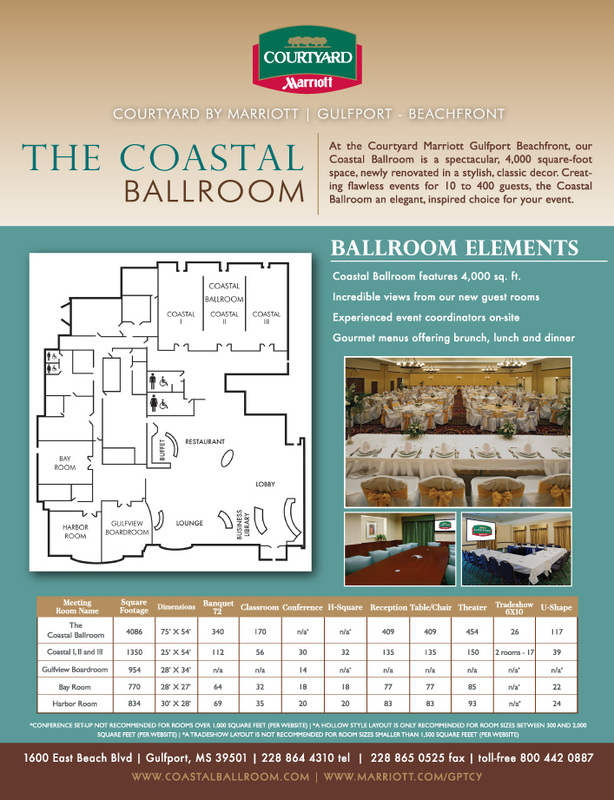 Whether you're preparing for an unforgettable wedding or a high-impact corporate meeting, the Coastal Ballroom will bring your vision to life!